About Us | Chimney Sweeps | Chimney Contractors | Kent Chimney Inc.
Kent Chimney Inc. has been providing chimney repair and maintenance services to homeowners for 3 generations. We are a family owned and run company since 1951. We offer personal service, skill and craftsmanship. Repairing and maintaining chimneys has been our family trade for a 100 years. Working on roofs can be hazardous, which is why we are fully licensed and insured. This means that you are protected from liability in the event one of our workers is injured. In addition to chimney and fireplace repair services, we also offer chimney sweeping, chimney waterproofing, and much more. We believe that proper chimney maintenance can save homeowners from paying for costly repairs. We offer services at competitive prices. When you work with us, there’s no reason why we can’t find a way to make chimney cleaning and other services affordable for your budget. 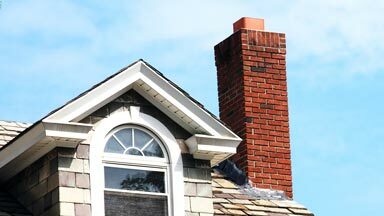 We offer chimney services to Grand Rapids and all of the surrounding West Michigan area. If you are interested in scheduling your free estimate, give us a call at (616) 949-7722. We look forward to the opportunity to earn your business.